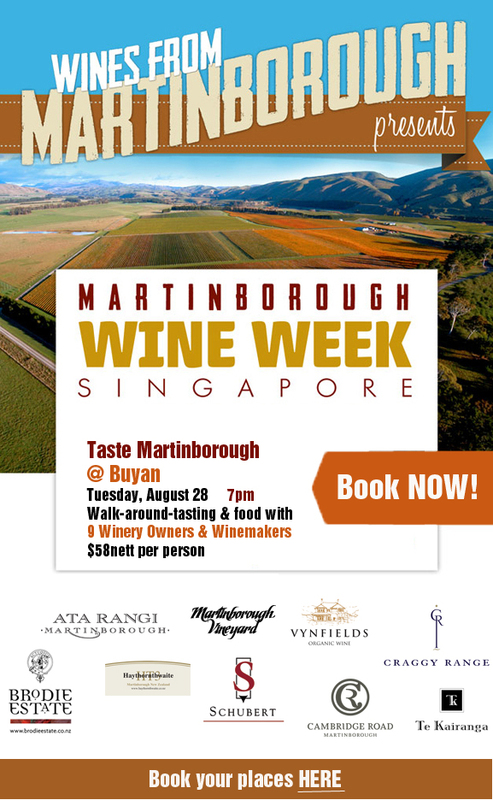 Nine Martinborough, New Zealand vineyards will be in Singapore from Monday, August 27 for a first-ever series of regional tastings of Martinborough wines here. 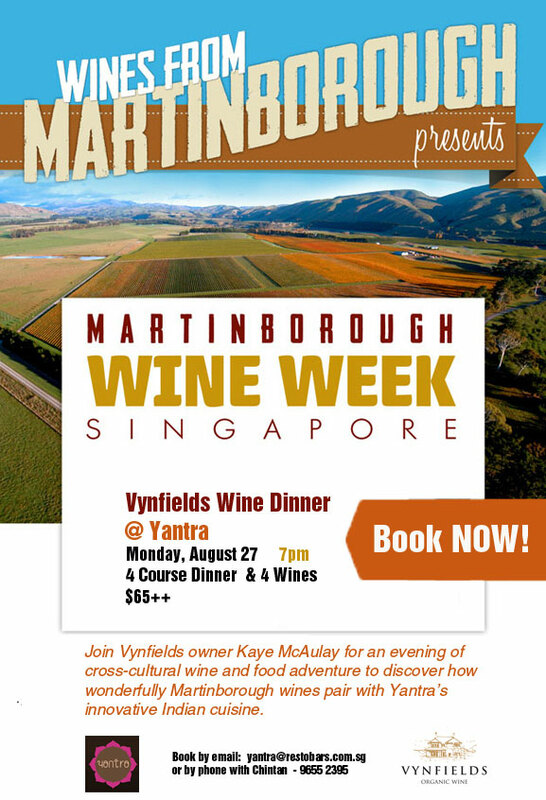 Participating wineries are: Ata Rangi, Brodie Estates, Cambridge Road, Craggy Range, Haythornthwaite, Martinborough Vineyards, Schubert, Te Kairanga and Vynfields. Martinborough is one of New Zealand’s oldest wine regions and is uniquely suited for wine grape cultivation, in particular Pinot Noir. You might be surprised to learn that 1970’s terrior studies actually led to the initial plantings in the Martinborough Terraces based on claims that the climate and soil conditions closely resembled those of Burgundy. With such an audacious prediction to act on, a few intrepid “wine pioneers” pursued the arduous task of establishing Pinot Noir production in this unknown territory. Fast forward to 2012 – today some of New Zealand’s most well-known, award-winning Pinot Noir wines come from Martinborough vineyards.